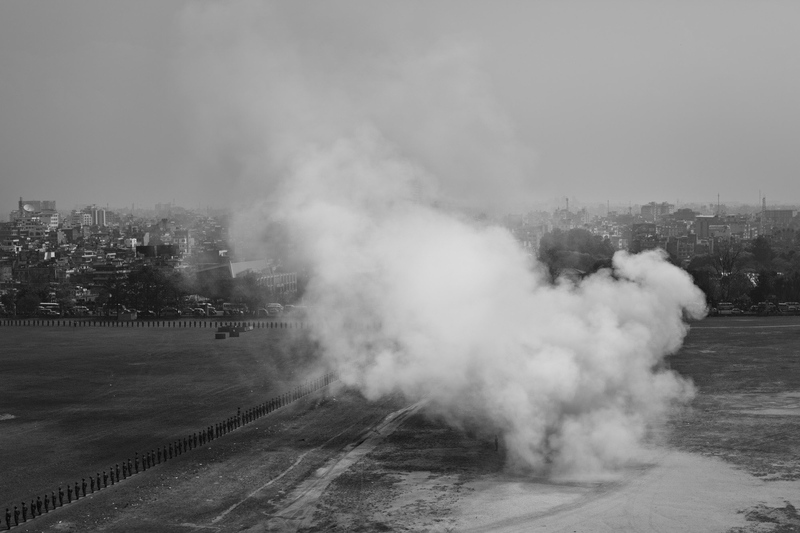 Smoke rises from canon fire during a military demonstration. A young girl laughs as she plays with her friends during the Holi festival. Students march to protest the rising cost of public transportation, which they rely on to attend school. 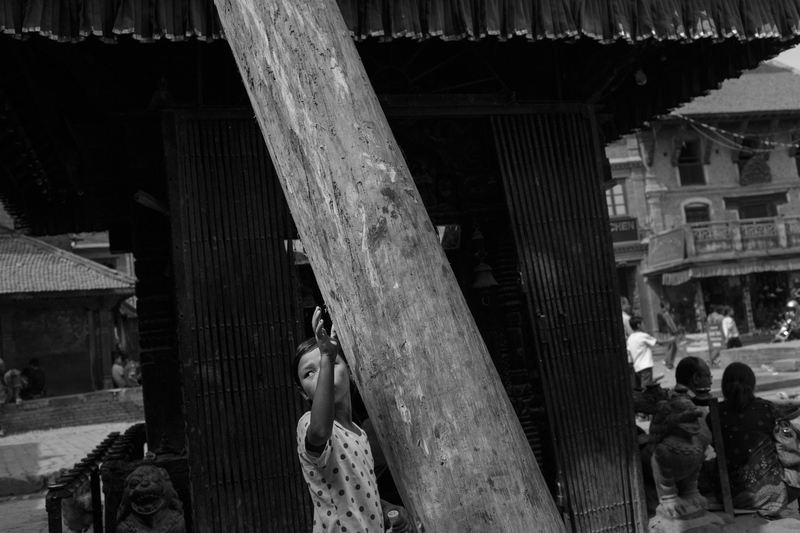 A young girl places her hand on a tall wooden pole believed to bring good luck during the Nepali New Year. 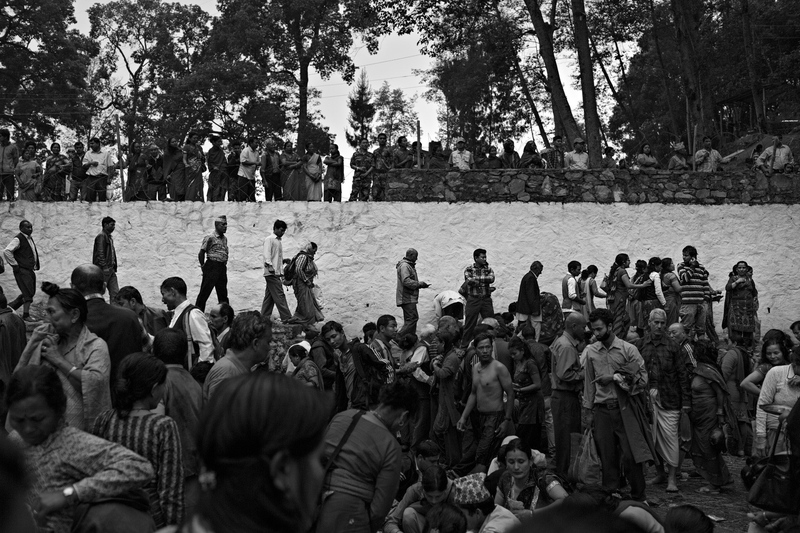 Many people gather at a sacred area on the outskirts of Kathmandu on Mother's Day, to honor their deceased mothers and grandmothers. This is a special gathering only for those whose mothers have died. 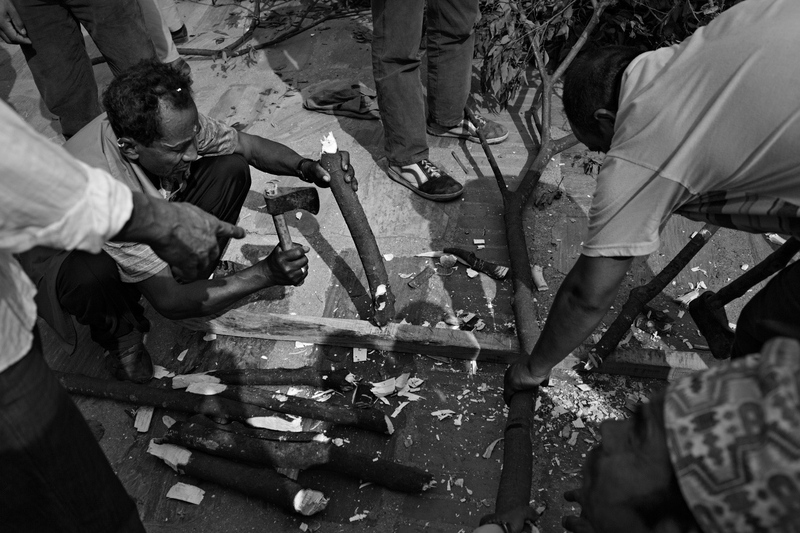 Men prepare for the Nepali New Year. These branches will be placed on top of very tall pole, approximately 80 feet, which will be pulled up by hundreds of men with long ropes. Once it is erected, the men will climb up the ropes in droves, and try to be the first one to grab one of the branches. It is extremely dangerous and deaths are not uncommon. 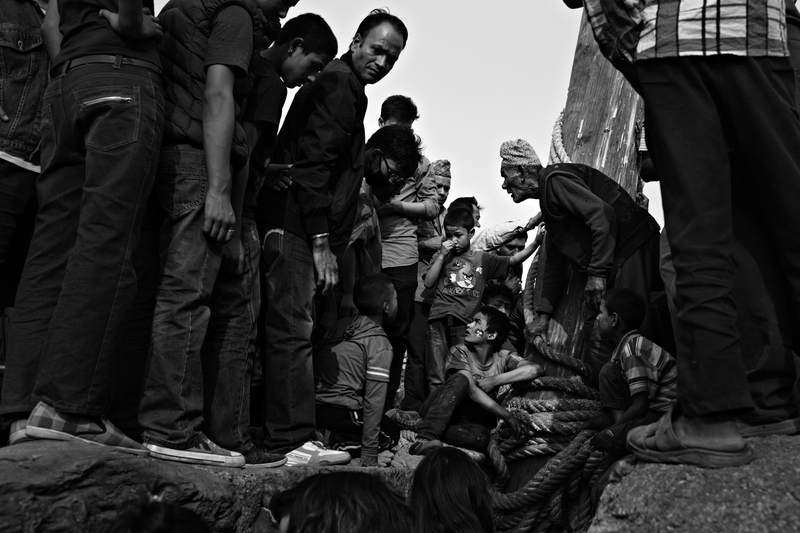 Nepali people believe that if it is time to die then there is nothing that can be done, so safety is left up to fate. 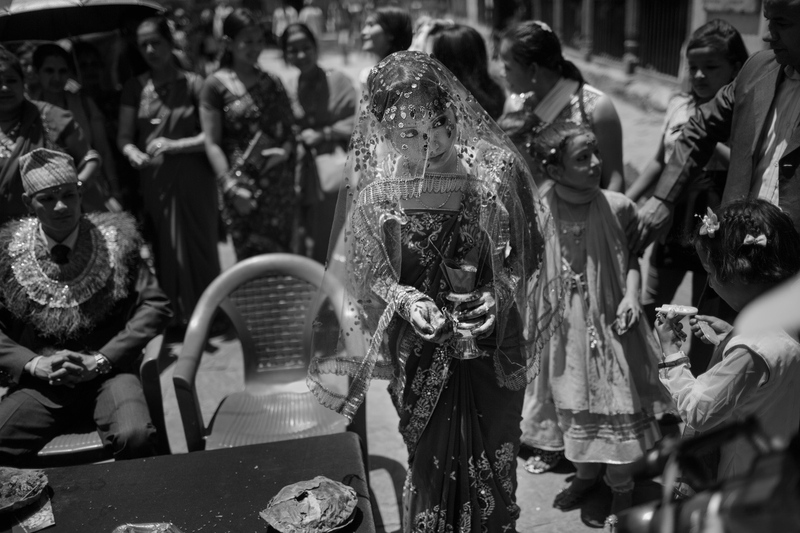 A young woman participates in a marriage ritual at a special temple in Kathmandu for couples marrying without the permission of their families. She walks around her husband (seated), dripping water on the ground as a symbol of asking the gods to protect their marriage. 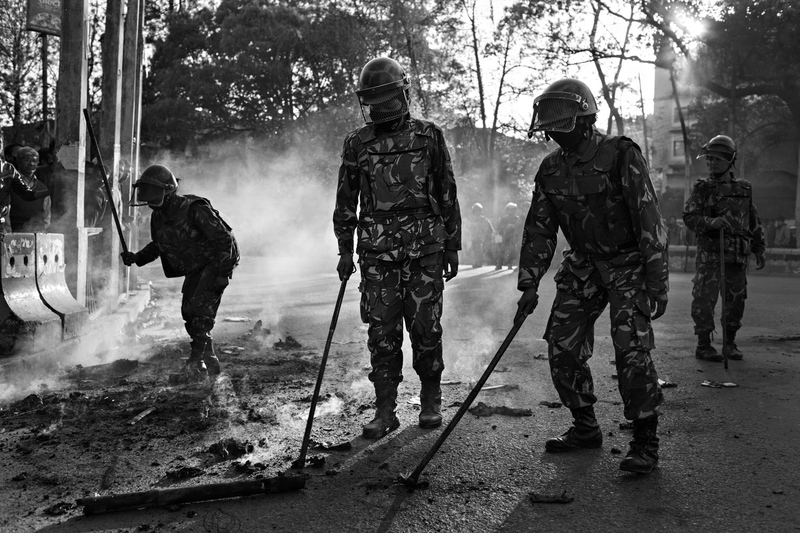 Police put out the burning remains of an effigy meant to represent the current prime minister (2012). An elderly man yells at a young boy for being disrespectful during a festival. 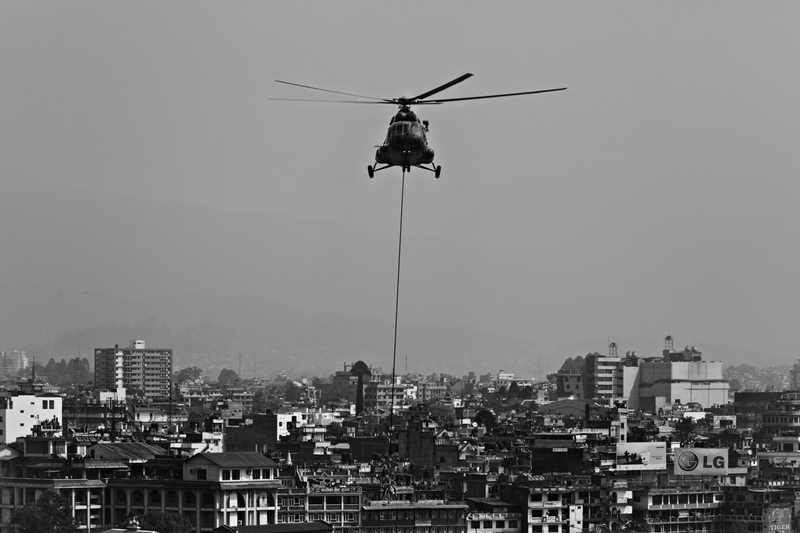 The Nepali military demonstrates their ability to airlift wounded soldiers out of areas where a helicopter cannot land. 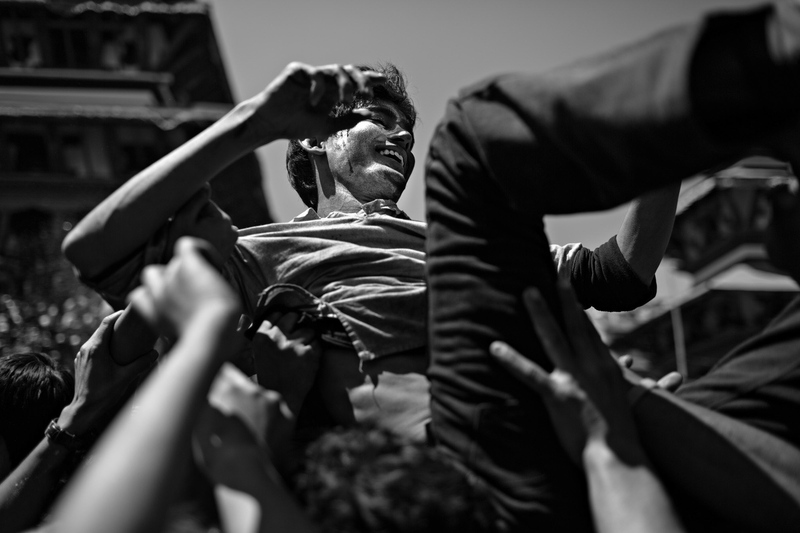 A young boy crowdsurfs during an outdoor party in Kathmandu's durbar square. 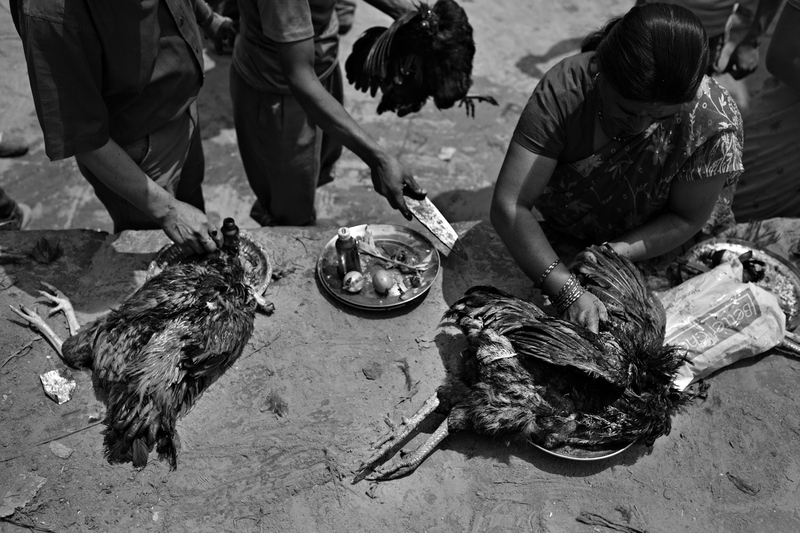 Devotees slaughter chickens as offerings during a small local festival meant to bring in a good harvest and luck for the spring. 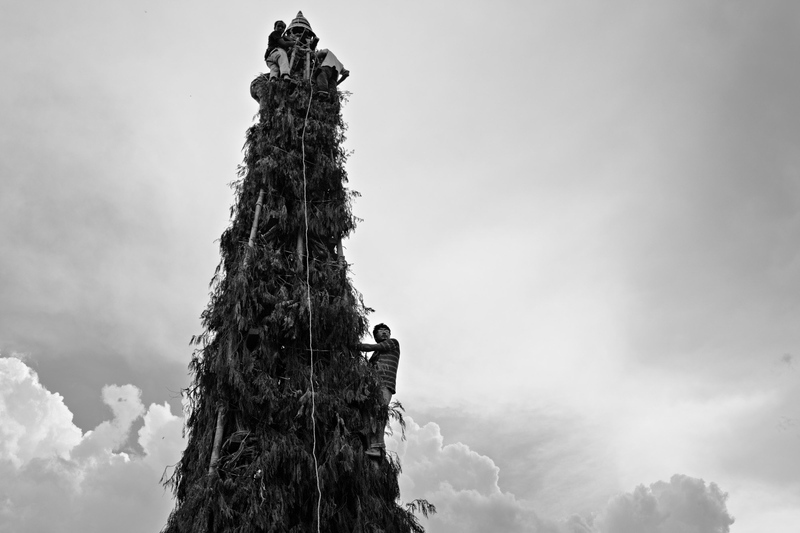 Young men climb a giant spire made of bamboo and pine branches, that sits on top of a wooden chariot. This is a festival meant to bring rain. 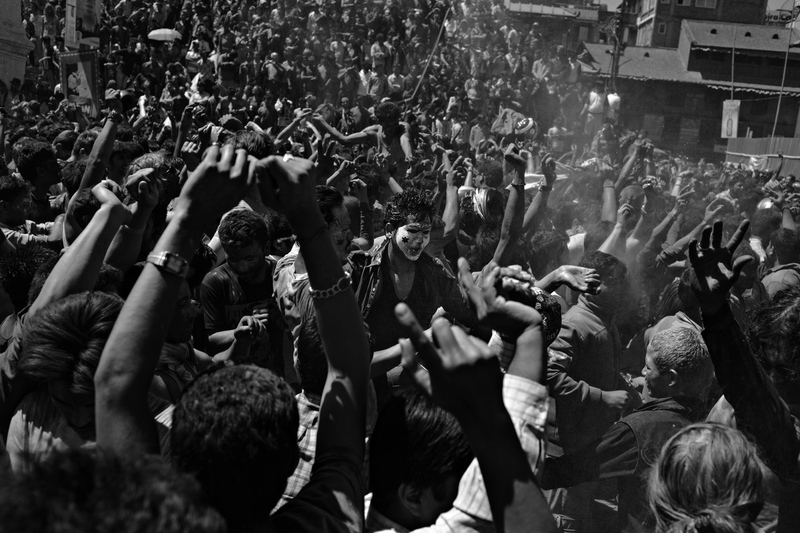 Young party-goers dance during the Holi festival. 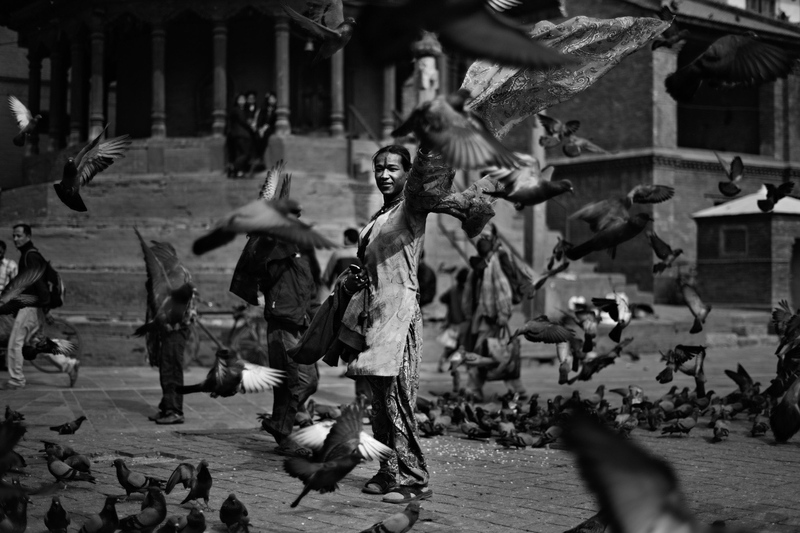 A woman walks among pigeons in Kathmandu's durbar square. 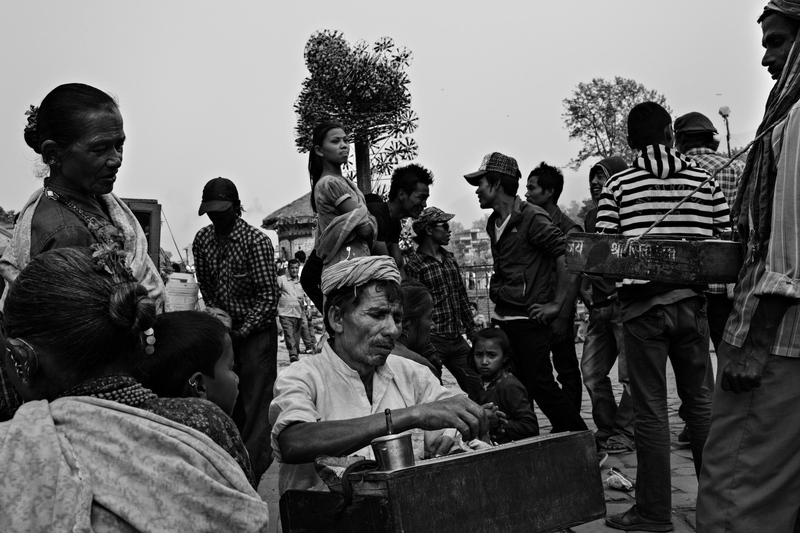 A man sells betel nut during a small festival. 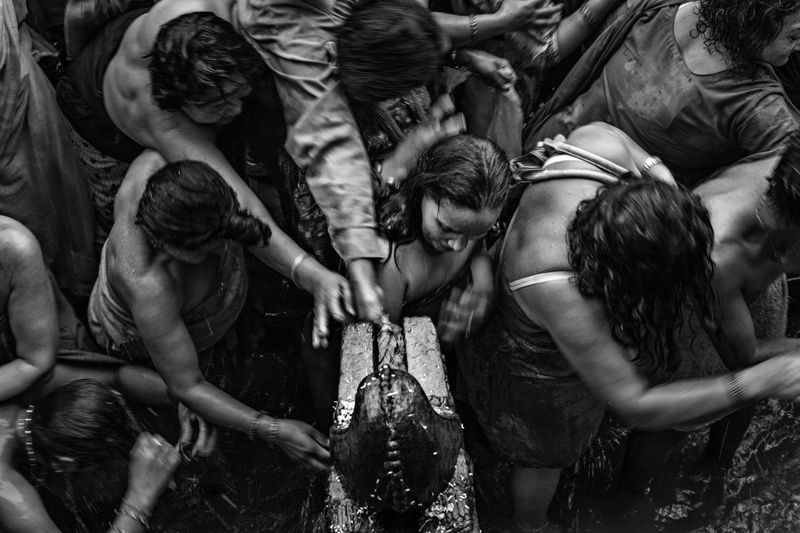 Women devotees cleanse themselves with water flowing from a sacred area. 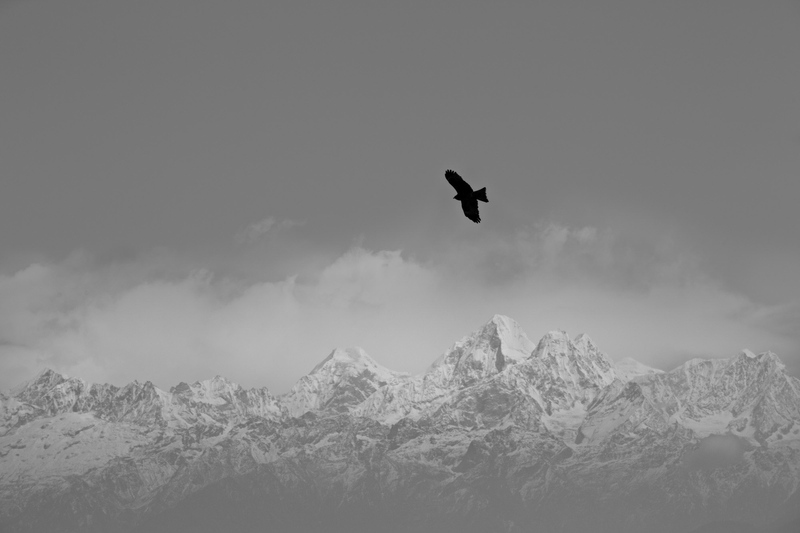 A hawk flies above the Himalayas. The culture of Nepal is like few places on earth, as traversed yet untamed as the Himalayan mountains for which it is famous. Nepal is a place of contradictions. 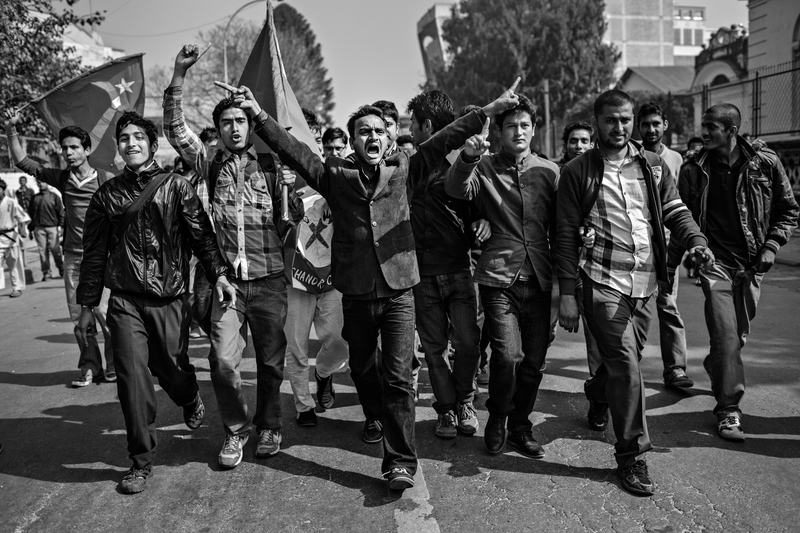 Ancient, religious festivals mix with political protests surrounded by rough, mountainous terrain. Large groups of hawks and eagles wheel and circle against backdrops of snowy peaks. It is a place that one person cannot possibly seek to comprehend and that draws the mind back again and again.